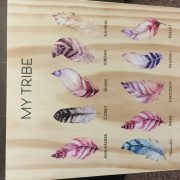 Received my family feather board today, cannot believe the fast turnaround , took only a couple of days from placing my order. Absolutely love what I ordered , I have actually just placed an order for two more gifts. Arrived really quickly, especially around Christmas. I’m so happy with how my photos turned out. They are going to make the best Christmas present for my parents. Such beautiful little gifts and amazing quality! Will definitely be shopping here again! 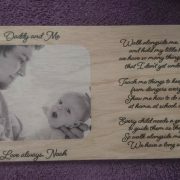 I ordered the wood block with a picture of my partner and our son that has a special saying about being a Dad and a photo of the two of them together printed on the block. When my partner opened his gift, he was reduced to tears. It’s the first time I’ve ever seen my partner cry! So easy to deal with and was super fast delivery! I got a wooden block for my partner for father’s day and it looks amazing. Such good quality and will definitely be buying more on Chain Valley Gifts. Thank you so much! 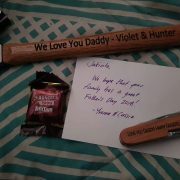 I got a Personalized Hammer and Multi tool for my Children to give their daddy on Fathers day. I’m SO pleasantly surprised at how fast it came! The writing is perfect and we got the cutest little note and timtams! I will definitely be recommending this place to everyone and I can’t wait to purchase again in the future ? 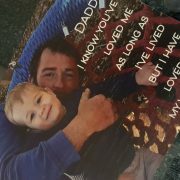 I’m really happy with my order that I placed through you, and I received my order in time for Father’s Day. Thanks again for your great work and effort you put into my purchases. I think it is absolutely amazing! Awesome job, looks perfect, really fast and lovely service! I can’t wait to give it to my sons father for fathers day. Will definitely be using this service again!! Thank you so much! 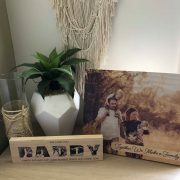 Chain Valley Gifts are fantastic to deal with! Delivery was super speedy, the hand written note was a sweet touch, and the gift I ordered was exactly as described. I’ll definitely be coming back here to shop again. Great product and extremely fast delivery! The hammer I organised for Fathers Day looks great. Delivery was extremely quick and I was updated throughout the whole process. Thanks guys! I had a couple of issues placing my order as I couldn’t decide which photos to choose. I called and spoke with Yvonne on a Saturday afternoon. Her level of customer service was outstanding. She had great knowledge of the products and how to best place the photos. Today is Tuesday and I was delighted to receive my item TODAY, only a 4 day turn around. The product is of amazing quality and I am absolutely thrilled with how it turned out. I will definitely be a returning customer. Thanks so much Cassie and Yvonne. I got 2 photo blocks and they are better than expected. Can’t wait to gift them for Father’s Day! Ordered 2 gifts from Chain Valley and can say I will deffinetely be ordering again. So impressed with the quality and how quick my order came. The personal note was the cherry on top. 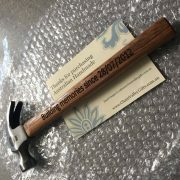 I had a personalised hammer made for my husband for our anniversary. Not only was I impressed by the quality of the product and the engraving, but it was at my house with in days! To top it off, there was also a hand written card and a little chocolate to wish us a happy anniversary. Very impressed, will definitely be ordered more gifts in the future! Great Service, quick delivery, amazing product!! Could honestly not be happier. What an amazing company!! I ordered a personalized hammer and within minutes I had a personal email thanking me for my purchase. Emails were sent through every step of the way right up to when the item was delivered to my door!! It is perfect and exactly as described on the website. This company will be my go to for any presents I need in the future!! There were no negative surprises within of the items purchased as all were true to photos on website. I love the huge variety of gift available and the uniqueness of many of these gifts. I was totally amazed at the speed of the delivery – only 36 hours from ordering to receiving the package at my front door! The hand written note and small free gift is a beautiful touch. Thank you for the brilliant service. Hi there, just wanted to offer some feedback and suggestions after buying 2 advent boxes. 1) Maybe put stickers on outside of boxes instead of writing the name of the box. It would look better. 2) My friends were really keen to know where I’d bought the boxes but there was NO mention of your company anywhere in/on the box! You are publicising the makers of the items in the boxes but missing an amazing marketing opportunity yourselves. 3. Some items had no user instructions. 4. Some items in the deluxe box seemed a bit ordinary, and a bit odd tbh (e.g. leather ‘keyring’), and I’m regifting over half of them. I preferred the standard advent box. 5. I used to enjoy THB FB feed a lot more, it was more engaging and the unboxing was fun (videos by Miri?) I know your other biz involves wooden stuff but it feels like THB is now an extension of that. I hope this feedback doesn’t offend, but I think THB is a great brand and I just wanted to be constructive. The product I received was just as expected! Bought it Sunday night it was shipped first thing Monday had it 8am Tuesday morning. Just received my order today! Everything is perfect and here on time for Father’s Day. Loved the personalised thank you card and choccie � thank you!! Great service and quick delivery. Ordered my husband the wrench multi tool for father’s day. Very impressed with the quality of the tool. Will order from here again. 100% happy with the service I received. Everything was packaged beautifully and it all arrived really quickly too. I can’t wait to give my sons teacher her gift box I know she is going to love it. From the beginning to the end, this business and the people running it have been amazing and so helpful. Plus the quick turnaround and delivery, they went above and beyond. Thank you so much for everything.